The Nebraska Grazing Lands Coalition (NGLC) is once again hosting a summer grazing tour which will be held on June 14th in the Nebraska Sandhills near Thedford. The NGLC has partnered with the Sandhills Task Force and Nebraska Audubon to bring ranchers and bird enthusiasts together to learn more about successful grazing practices, Sandhill ranch heritage, indigenous and migratory birds, and wildlife habitat. Proper grazing in the Sandhills provides income for ranch businesses, wildlife and bird habitat, vegetation diversity, and increased water quality and quantity. Come learn grazing strategies from area ranchers as well as information about birds and habitat from statewide experts. The full day event will kick off with an optional birding route, followed by registration and breakfast, three ranch visits, and an evening banquet with a special guest speaker. Below is a brief description of the three progressive family ranches we will be visiting. Additional information can be found at www.SandhillsTaskForce.org. The Eatinger Ranch was established in 1878 north of Thedford where there is an abundance of wetlands and subirrigated native meadows surrounded by productive upland Sandhills rangeland. The productivity of the land has increased throughout time due to careful grazing management. Approximately 70 pastures are used to graze around 1,500 cows in a planned rotational grazing system which includes winter grazing. Calving takes place in the pasture and occurs in April and May. 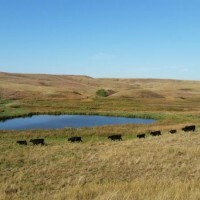 The Reed Hamilton Ranch was established in 1898 and is an 18,000 acres ranch north of Thedford that consists of 95% upland Sandhills rangeland, 2% meadow and wetland area, 2% pivot irrigated forage production, and the remaining balance is woodland for livestock shelter and wildlife habitat. The cow herd is Angus/Simmental hybrids utilizing Red Angus, Black Angus, and Simmental. The cows are calved in April and May, weaned in September and October, and marketed in November. The cornerstone of rangeland management is a 10 pasture rotation utilizing a growing season and dormant season plan. The Dailey Angus Ranch is located east of Thedford and it is 100% native, upland Sandhills rangeland. An intensive grazing system has been in place since 2007 where moves occur every 3-7 days amongst 32 paddocks. Electric fences are used to subdivide pastures. A leader-follow system has been used in the past where yearlings graze a paddock initially for a short time and then cow/calf pairs graze immediately afterwards. This allows the yearlings to graze more selectively and it increases their gain. Pre-registration is due by June 6th for meal counts and you can sign up online by visiting www.SandhillsTaskForce.org, or by emailing Shelly@SandhillsTaskForce.org, or by calling/texting Shelly Kelly at 308-214-0065. You will also be able to register at the door. The pre-registration cost is $15 for the full event and $10 if you can’t attend the banquet. You can pay at the door, online, or by mail. 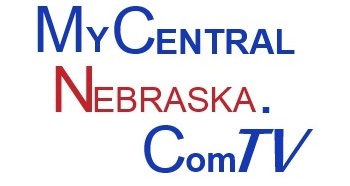 Other event sponsors include Nebraska Cattlemen, Nebraska Game and Parks Commission, Nebraska Natural Resources Conservation Service, US Fish and Wildlife Partners for Fish and Wildlife, Ducks Unlimited, Nebraska Farm Bureau, Bird Observatory of the Rockies, Nebraska Environmental Trust, and Sandhills Scenic Byway.